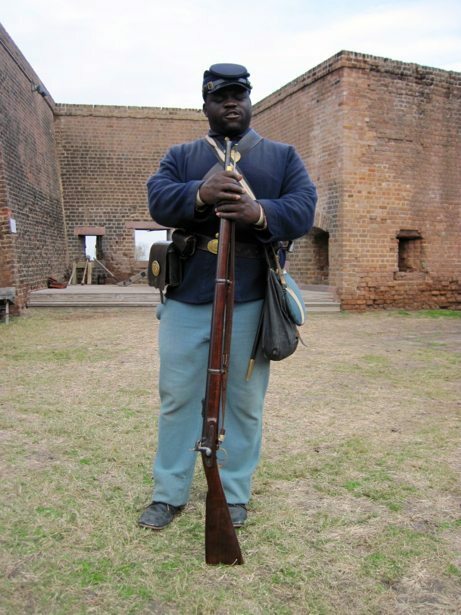 Fort Jackson is a restored 19th century fort on the banks of the Savannah River. 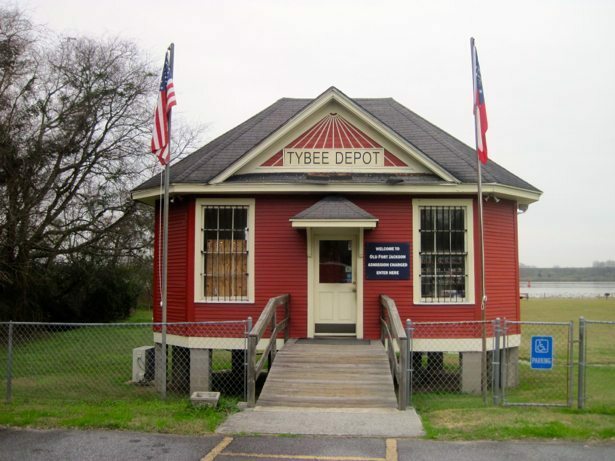 It is a National Historic Monument and the oldest standing brick fort in Georgia. 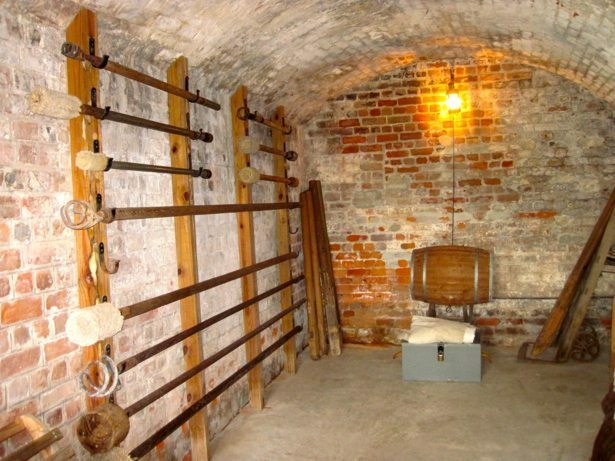 In 1808 Fort Jackson was started as a brick fortification, built upon an old earthen battery from the Revolutionary War, as part of Thomas Jefferson’s national defence fortification system. 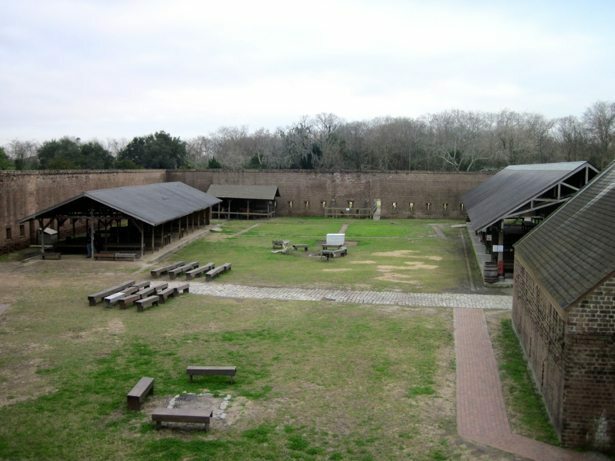 Fort Jackson saw fairly immediate use during the War of 1812 against the British. 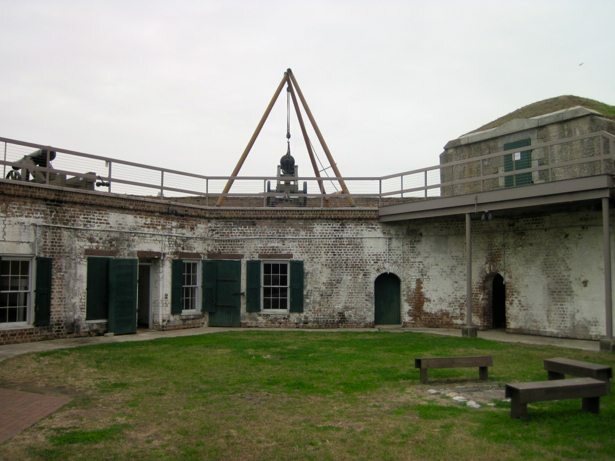 During the 1840’s & 50’s additional construction occurred with the addition of a moat, drawbridge, barracks, privies a rear wall and another powder magazine. 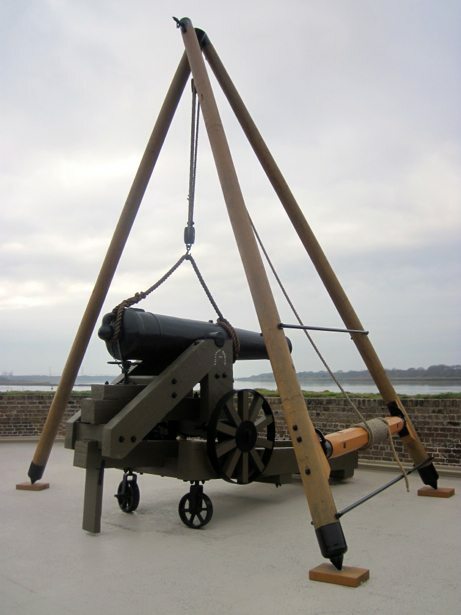 The intent of Fort Jackson was to protect the City of Savannah that was just upriver. 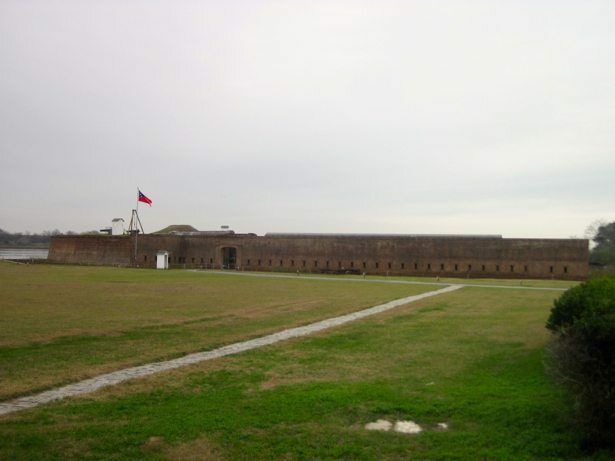 During the Civil War, it was a Confederate fort that successfully held back numerous Union attacks. Even well after Fort Pulaski down stream had been taken. It was turned over to the Union troops when General Sherman took Savannah on his famous “March to the Sea”. 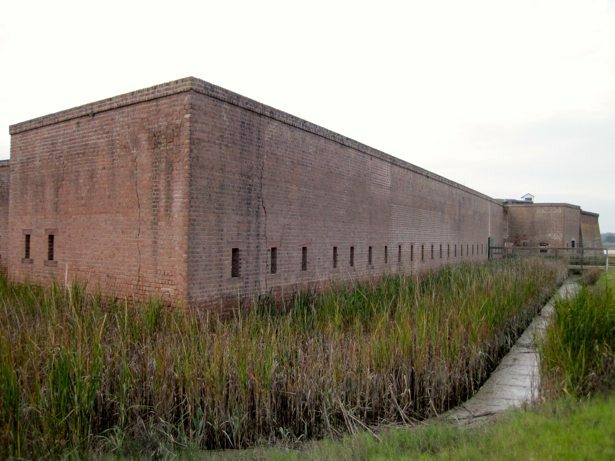 Having spent the morning at Fort Pulaski, it was interesting to see the difference in size, structure and approach to construction during different time periods. We were lucky to be the only ones in the fort when we visited (bad weather scared off most people) so we got a personalized musket firing demonstration. You can never see enough of these! 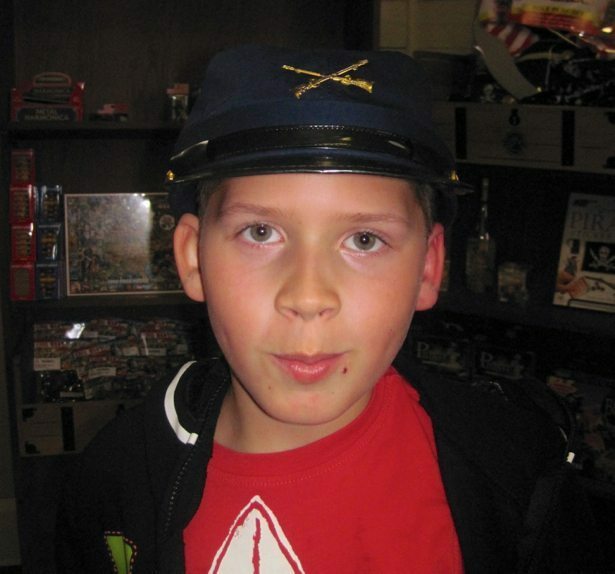 Through all of our reading and fort adventures, Hunter had really become quite knowledgeable about the who/what/where/when of American Revolutionary & Civil Wars. 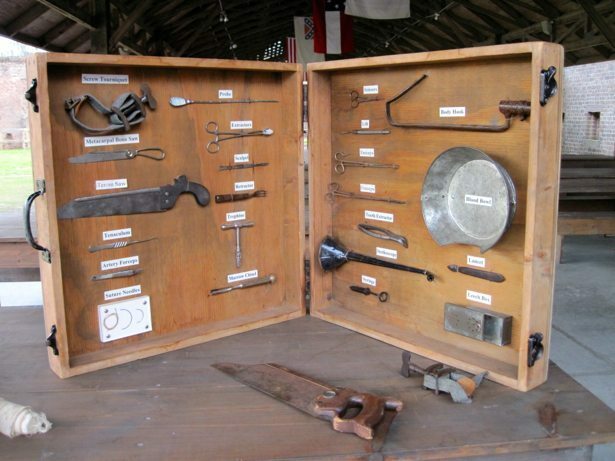 He can recite all of the steps and tools used to fire both muskets and cannons and has his eye out for civil war costumes that he can pick up for halloween next year.